Dunster Water Mill (also known as Castle Mill) is a restored 18th century watermill, owned by the National Trust. The mill is situated on the River Avill, close to Gallox Bridge, in the grounds of Dunster Castle in Dunster, Somerset. It is a Grade II listed building. The present mill, which was built around 1780 and replaced two former mills, is built on the site of a mill mentioned in the Domesday Book. The mill ground corn until the Second World War and then animal feed until it closed in 1962. In 1979 the National Trust restored it to working order in 1979, and the mill is still used to grind wheat flour to this very day. Unusually, although the watermill is owned by the National Trust it is leased to a private company who run it as a tourist attraction and an entrance charge applies to all visitors. Reportedly the mill still produces around seven tonnes of flour each year. 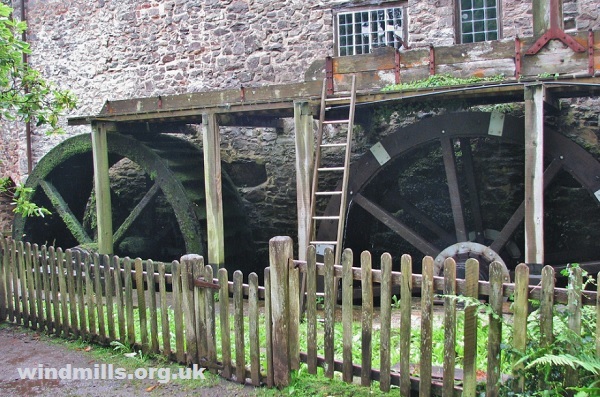 Back to our page on surviving water mills in Somerset.